We build websites big and small, simple and complex. But all of these are based on an intelligent approach to produce an attractive design and content that meets the needs of your users. Over the last 13 years, we've built a lot of websites and through that experience, have learnt quite a bit along the way. It is this experience that has shaped our web development process, which enables us to successfully deliver websites on-time, on-budget and to specification. We are strong advocates for an intelligent approach; configuring content that matches the needs and expectations of your target audience members. We pride ourselves on being easy to work with, especially with clients who may not be that web literate. We view projects as an opportunity for advocating best-practice web publishing, as much as completing projects efficiently as possible. 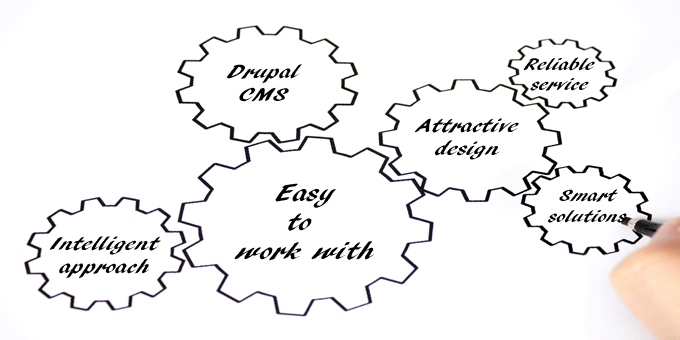 All of our websites are Content Management System enabled, using Drupal CMS, meaning that you have complete control over all of your content and do not have to rely on us to add or amend your content for you. We also have marketing know-how to enable you to maximise your return on investment when promoting your website. But we are also on-hand to help you out at any time for any website management issues you might have with reliable service.